2013 SoCal Thanksgiving Turkey Deals! Here are this weeks BEST SoCal Turkey Deals. These prices are good until Thanksgiving Day 11/28/13, unless otherwise noted. If there are any other deals that have not been mentioned, please let us know in the comments section below. *Make sure you use your $4 off or $5 off coupons found in your ad to increase your savings! Halloween Themed T-Shirts As Low As $5.99! Check out this big selection of themed Halloween t-shirts for as low as $5.99 + $1.99 shipping! I like this “Keep Calm and Say Boo” t-shirt for $7.99! Fun for those of us with tons or parties to go to at school and of course for trick-or-treating! Happy Independence Day to all of you and a BIG thank you to all the men and women that serve our country! Have a safe and blessed day! Shafter Fireworks Show Tonight ~ FREE! There will be Hamburgers, Hot Dogs, Corn Dogs, Nachos, Funnel Cakes, Kettle Corn, and Shaved Ice for sale! There will also be Face Painting, Glow Toys, and Bounce Houses for the children! The fireworks program will begin at dusk with a welcome, presentation of the flag, National Anthem and Invocation. For more information visit Shafter.com, see you there!!! Holidays On A Budget: Baked Beans From Scratch! I posted this recipe last September, and when my brother asked me to bring Baked Beans to the family BBQ tomorrow night I knew what recipe I was making!!! Bring the beans and water to a boil on the stove over high heat. Once boiling, turn off the heat, cover, and let stand 1 hour. Drain and rinse before using, then place beans in slow cooker with 3 cups water. Cook the bacon and onion in a saucepan until bacon is cooked through and onions are caramelized, put in slow cooker. Add all other ingredients and stir together. Cook on low heat for 4-6 hours (all slow cookers cook differently), and on high for 1 hour. Enjoy! If you don’t want to use a slow cooker, then cook the beans on the stove, drain, add all other ingredients and put in a 1 1/2 quart baking dish, covered, and cook 45 minutes at 350 degrees. If you double the recipe, then maybe use another type of dry bean to add variety. *To keep the cost even lower, don’t add the bacon. Make it vegan! *REMINDER* Print TNT Fireworks Coupons! It’s just about that time of year – fireworks!! Head over HERE and print a coupon for $10 off your order of $50 at TNT Fireworks. Head over HERE for locations. There are many TNT stands in Bakersfield! Huge Costume Blow-Out Prices As Low As $4.99! Right now BuyCostumes.com is offering 50% off of Clearance prices with the coupon code: SUPER50 at checkout. 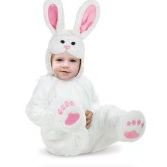 That makes this adorable Bunny costume just $4.99! PLUS there are a ton of costumes that would work for the entire family! If you have any ideas – or need ideas for Halloween I would take advantage of this sale because buying a costume right before Halloween is a bit of a job (seriously)! Shipping starts at $4.99 OR FREE 2 day shipping with ShopRunner. 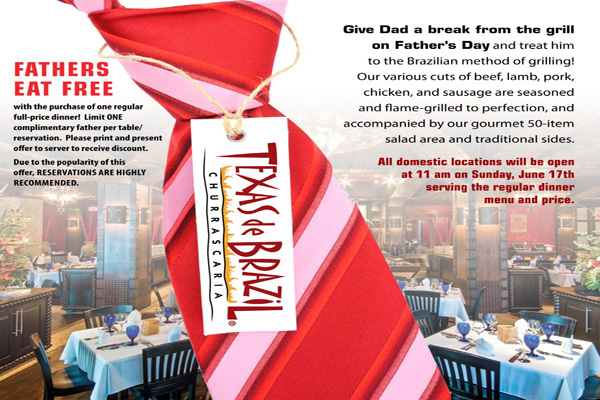 Father’s Day Restaurant Coupons & Deals!!! Here are some of the best deals you’ll find for Dad on Father’s Day! FYI: this is a National list. Buca di Beppo: Buy a large paste entree and get a small fettuccine, spaghetti or ziti free with a coupon. Expires Sunday. Denny’s: You and Dad get a free Pancake Puppies Sundae when you send him a Father’s Day wish through its Facebook fan page. Hooters: Dads get 10 free wings on Sunday at participating locations. Dine-in only. 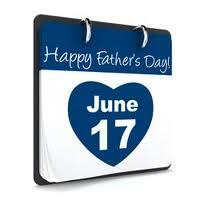 Also, buy a $25 gift card by Saturday and get a free $5 Dad’s Bucks Bonus Card.